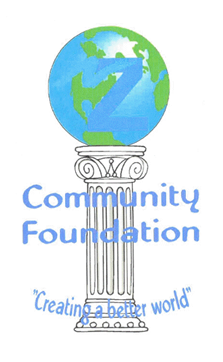 Girlz 2 Pearlz & Pearlz 2 the World is a program of Zeta Phi Beta Sorority, Inc. – Zeta Zeta Zeta chapter and works through the Z-Community Foundation. The program focuses on investing in the finer womanhood of young ladies ages 9 – 18 in the Denver Metropolitan area. The program is designed to introduce the young ladies to dining etiquette, community service, and provide a support network for their self-esteem and academic progress in school. Participants of the community program are encouraged to build up their community, one girl at a time, through caring about their appearance, how they treat others, and their academic success. Because the program specifically targets financially disadvantaged young ladies and wants to provide all young ladies the privilege of participating in the program, each young lady will have the opportunity to have their program costs funded through sponsors each year. The program begins in October of each calendar year and ends in June of each calendar year. As part of the program’s curriculum participants are required to participate in community service projects in connection with the Zeta Phi Beta Sorority’s Archonette and Amicette Auxiliary chapter; they will attend a health and beauty class, complete a dinning etiquette class, and will be taught to perform a song or dance number. Finer Womanhood Scholarship Tea, Gospel Brunch, Bluetillion and Scholarship Receptions. See our complete list of scholarship recipients on the Scholarship page.